Cheapbooks Greatest Hits AND a CONTEST! 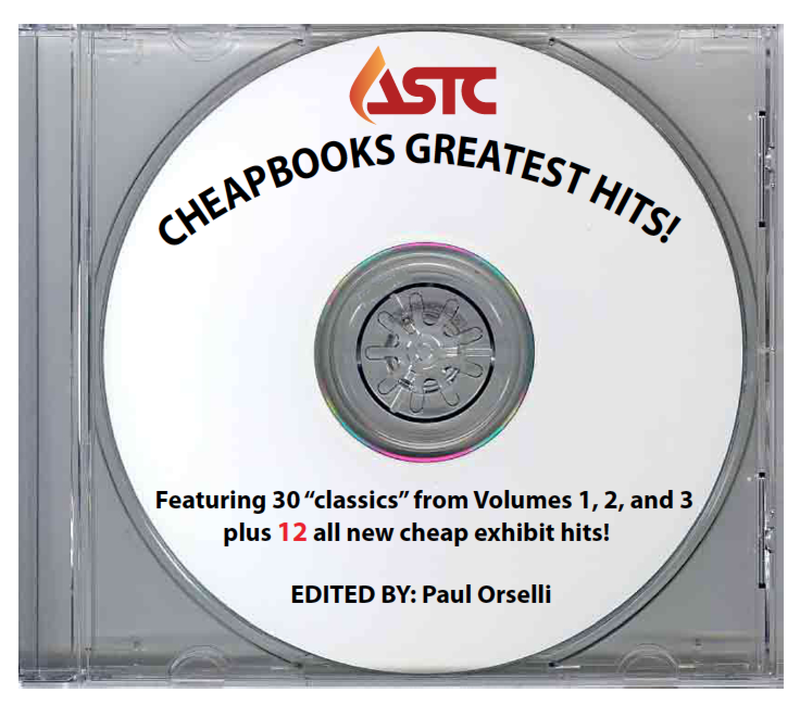 The fourth volume of the Exhibit Cheapbooks entitled "Cheapbooks Greatest Hits" published by ASTC is now available! If you're not already familiar with the Cheapbooks, they are collections of floor-tested, easily reproducible (and inexpensive!) exhibit ideas contributed by museum colleagues from around the world. Starting with the original Cheapbook published in (gasp!) 1995, each ridiculously low-priced volume has contained approximately 30 exhibit ideas. I've been so proud to have edited each of the four volumes of the Exhibit Cheapbooks for ASTC, and to share such great ideas with the rest of the museum field. This latest volume contains 10 of the most popular exhibit ideas from each of the first three volumes and 12 brand new exhibit ideas for a total of 42 great exhibits that you can replicate (or modify) for your own museum! ASTC has decided to release Cheapbooks Greatest Hits in electronic format (as a PDF) to keep the price low, stay eco-friendly, and to eliminate shipping costs. Cheapbook ideas cover many topics and formats --- we've completely got STEAM (Science, Technology, Engineering, Art, and Mathematics) covered! You really can't find a bigger and better bargain for your exhibit development dollars than Cheapbooks Greatest Hits! So head over to ASTC's Publications Page to order your own copy right now! BUT WAIT! There's also a chance to win a FREE copy of Cheapbooks Greatest Hits in our CONTEST! If you email me or leave a Comment below explaining why you'd like to win a copy of the latest Cheapbook before May 30th 2014, I'll choose two lucky winners and send them each their own digital copy of Cheapbooks Greatest Hits!